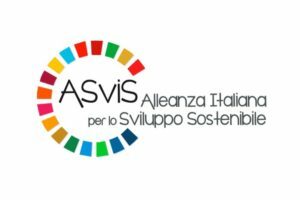 The Italian Alliance for Sustainable Development (ASviS) was established on 3rd February 2016 on the initiative of the Unipolis Foundation and the University of Rome Tor Vergata. Its aim is to increase the awareness of the Italian society, economic stakeholders and institutions about the importance of the Sustainable Development Agenda, and to mobilize them in order to pursue the Sustainable Development Goals (SDGs), agreed by the United Nations. Italian organizations that are members of international associations and networks, dealing with SDGs. The Alliance can be joined by all the organizations belonging to these categories. For information on how to join the Alliance, click here. The Alliance activities are carried out thanks to the financial and in-kind contributions provided by its members. ASviS is an Associated Partner of the European Sustainable Development Network (ESDN), the informal network of institutional entities, associations and experts that have worked on sustainable development policies and strategies since 2003. ASviS is also registered in the EU Transparency Register, jointly run by the EU Parliament and Commission.